Soldiers of the 11th Armored Cavalry Regiment serve as an opposing force to a rotational training unit here in July. The OPFOR relies on the logistical support of the Regimental Support Squadron, 11th ACR, for ammunition (simulated), food and fuel to perform its mission and maneuver in the same battle space as the RTU. During counterinsurgency operations in deployment areas, Army logisticians’ concept of support for maneuver units originated from the perspective of being near a forward operating base, with logistical support already in place. 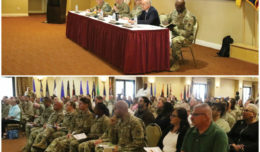 However, with the battlefield changing, FOB logistics is no longer a viable way to support maneuver units – including the 11th Armored Cavalry Regiment at the National Training Center. The 11th ACR – with approximately 3,000 Troopers – provides an opposing force or “enemy” to rotational training units, who “fight” here in a force-on-force environment. With the focus on decisive action rotations, there has been a reduction in reliance on FOBs. With the BCTs conducting maneuvers throughout the NTC’s 1,200 square miles, the opposing force maneuver area can be just as wide. Since 2014, the Regimental Support Squadron, 11th ACR has adapted its logistical support to Blackhorse units maneuvering in the DA battlefield. 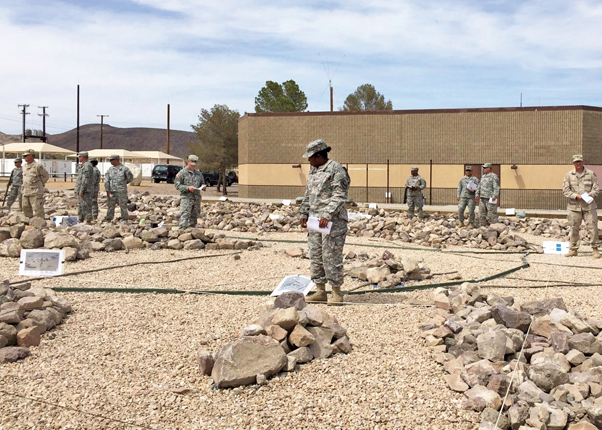 The NTC DA rotations are constantly shaping logisticians’ ability to plan and provide precise logistics on a fluid battle field. 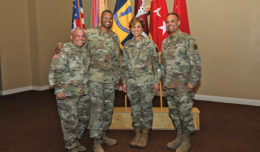 “As the commander, I oversee all logistical operations within the RSS and continuously emphasis the importance of supporting combat operations with precise logistics,” said Lt. Col. James Stephens, commander of RSS, 11th ACR. Logisticians, serving in the support operations office of RSS, must understand the maneuver unit’s mission in order to provide a concept of support that will fully support the combat mission. Once the concept of support is developed, it is imperative to capture all logistical efforts on a synchronization matrix. Several SPO sections – plans, maintenance and materiel management – provide support to Troopers in the field with water, food, fuel, ammunition and maintenance. The plans section receives the concept of operation and determines where and when logistics support is required throughout the operation. Additionally, the plans section determines how to provide the maneuver unit with the required logistics. Supporting maneuver units with water and food presents a challenge. The field feeding section can no longer conduct on-site feeding operations in a force-on-force environment. Due to the high operational tempo and mission requirements of the 11th ACR, the section in charge of food and water is required to support Soldiers at multiple locations throughout the NTC’s battle space. The method the Army uses to facilitate such an operation is known as ration break procedures. Ration break procedures depend on the quantity and type of ration, personnel, time and transportation available. On average, the section supports 15 breaks, each with a headcount of 20-50 Soldiers. 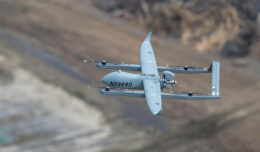 In the case of fuel, the SPO plans, coordinates, and synchronizes bulk fuel for the support elements in order to sustain the maneuver unit’s op-tempo on the battle field. Therefore, planners need to understand the different types of combat operations and how it affects the maneuver unit’s fuel consumption rate. 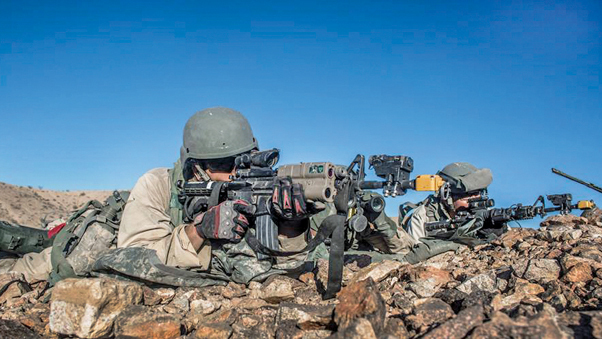 Understanding the concept of operation is key to providing precise logistics, and ammunition is no exception. Logisticians must balance the required supply rate with the controlled supply rate. The CSR doesn’t present logisticians with the opportunity to tell costumers “No” to a resupply request. However, when mission dictates an increase in ammunition requirements, it’s up to the logisticians to determine the most efficient way of obtaining and transporting the required ammunition while staying within ammunition and explosive safety standards. Due to the high op-tempo, maintenance of all equipment is vitally important to the mission conducted by the 11th ACR. Maintenance and the materiel management work hand-in-hand in order to maintain combat power on the battle field. Materiel management represents a major portion of the Regiment’s logistics operation; the section ensures the units within the regiment adhere to policy, thereby assuring the effective and efficient management and stewardship of all materiel’s necessary to help build combat power. Building that combat power is crucial and is a result of being proactive. “Anticipatory logistics is the difference between battlefield dominance and death,” said Chief Warrant Officer 4 Jimmie Lee, officer in charge of material management, RSS, 11th ACR. Logistician Soldiers of the 11th Armored Cavalry Regiment conduct a combat support sustainment rehearsal to synchronize logistical efforts for 11th ACR operations during decisive action rotation 15-8.5 here, July 14.